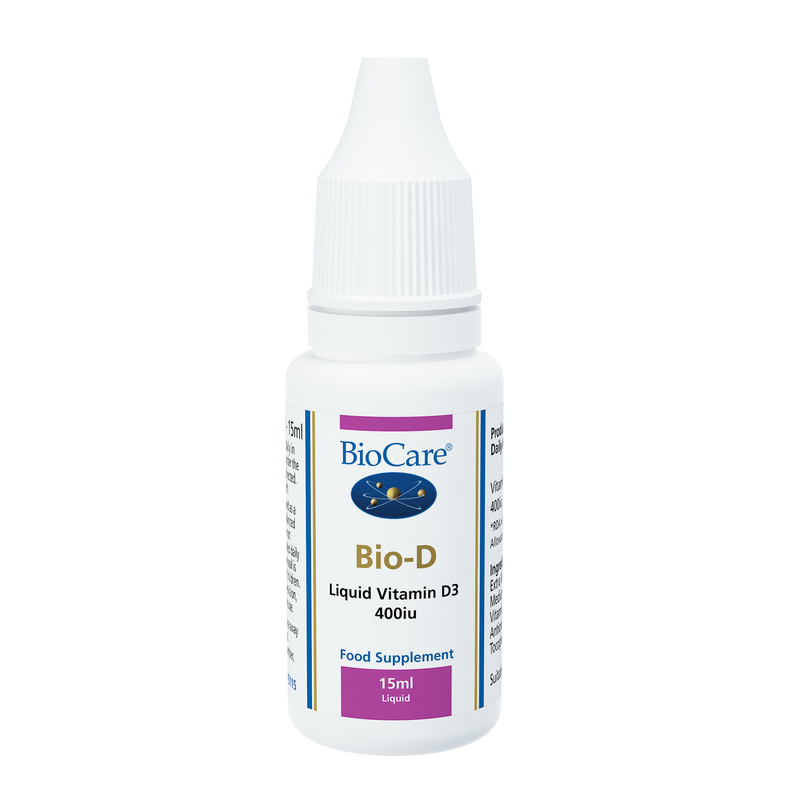 Biocare Liquid Vitamin D is an important nutrient for strong bones & for the health of many bodily functions including the immune system. 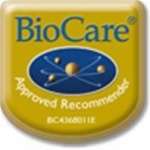 BioCare's liquid Bio-D is a useful way to top up your vitamin D levels. Each drop provides 100 ius of vitamin D3. This probiotic powder is ideally suited to children from 6 months old, the elderly, or those individuals who are convalescing. Free from sugar, artificial colours, flavours or additives, it provides 1 billion beneficial bacteria per half a teaspoon. This product now contains vitaminD3obtained from lanolin from sheep wool, which is not acceptable for some vegans. Vegans will need to look forVitaminD2 (ergocalciferol) derived from yeast sources, and otherwise rely on sun exposure and fortified foods (e.g. some soya milks). Liquid Vitamin D3 from lanolin in abase of olive oil. 100iu per drop.